What? She looks old?! Could you have some respect? Yes, she’s old. She was released in 1995, but she’s still for sale today because she’s a classic. She’s also one of my favourite games, and you’re going to listen as I tell you why. No, you can’t go to bed. Sit down. You might learn a thing or two. No you can’t have a glass of water. You screwed that up. The thing is, we’re covering a lot of flashy games these days. Games of neon dice, plastic warriors, of mechanics so thick and layered as to resemble some glutinous design lasagne. 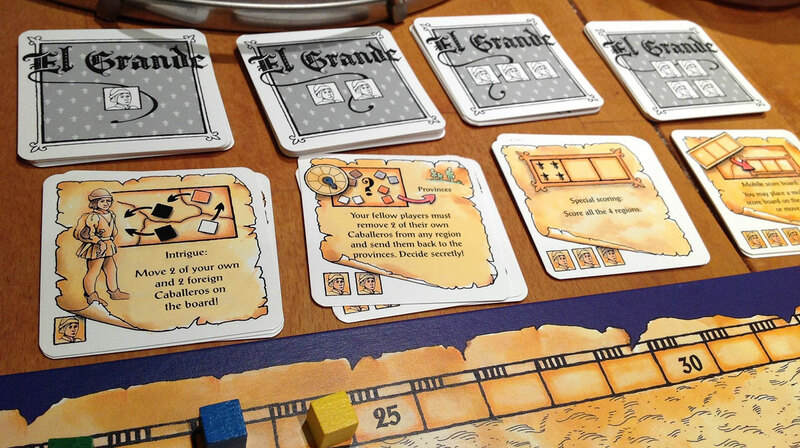 I like El Grande because it knows you don’t need any of that to be grand. It has almost royal quality you won’t find in any of this cardboard pomp. Board games so rarely manage to tap into the ancient aura of table games, as Chess does. Even the card games we cover struggle to have the easy-going cool of just playing cards. Not so with El Grande. It’s the best of both worlds. It’s a game, a battle of wits, yet with all the personality and even humour that Chess lacks. 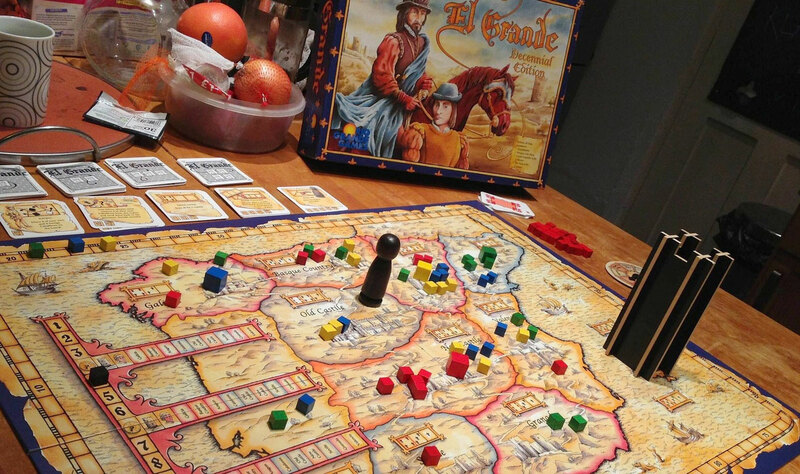 El Grande wants you to laugh, and take it personal, and have fun with your contest. In case that wasn’t apparent from the huge cardboard castle. And yet even that castle is fascinating part of the challenge. So, let’s move onto those grand rules. 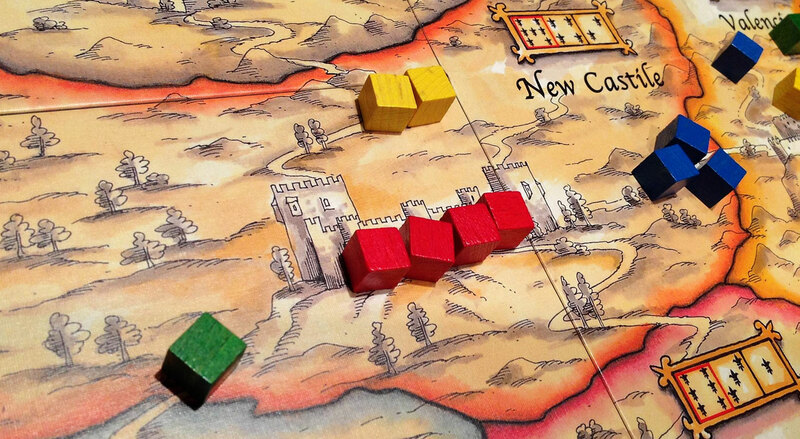 You play a Spanish noble – the big, coloured cube – trying to claim more of Spain than anyone else, over nine turns. Each turn is the same, and very simple. Every turn five different power cards will be available, and each player must select one. Each lets you transport between one to five of your knights onto the board, as well as offering a one-shot power, as intimidating and potentially deadly as a lance. The card that lets you push a game-changing five knights onto the board always offers the worst power. The card that only lets you move one? That’ll be the sharpest power, perhaps letting you shuttle around other players’ cubes. 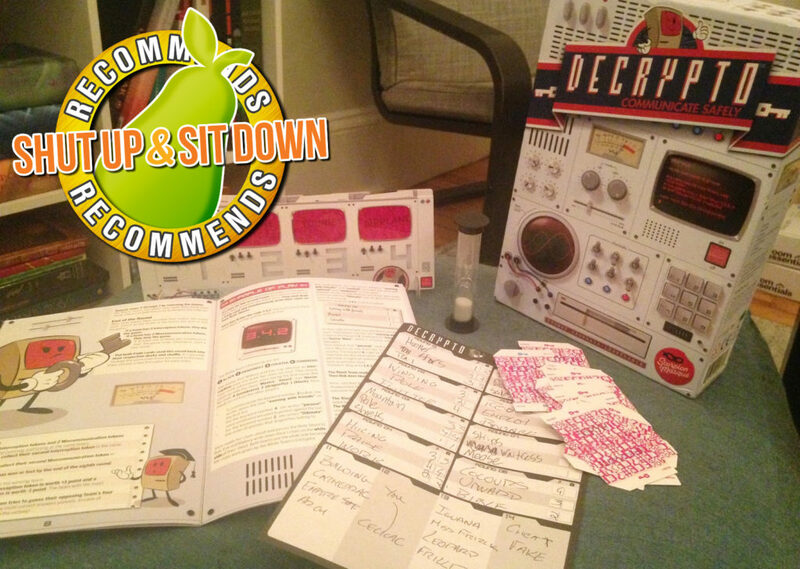 The beating heart of why board games are exciting is difficult decisions. 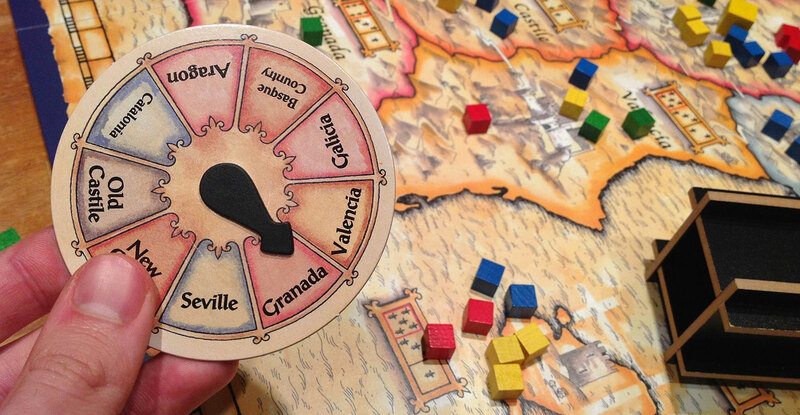 El Grande is a game that passes that very simplest of design tests- a game that offers decisions so heavy as to keep you focused on the game, even when it’s not your turn. It does this through the mechanic of area control, something we’ve seen implemented in game after game, but never as neatly as I’ve seen here. 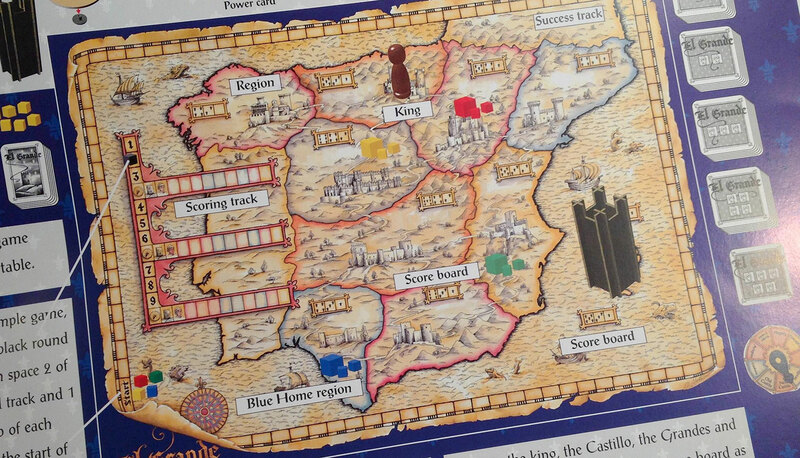 Regions are scored three times in a game of El Grande, always offering a wealth of points to whoever has the most knights in each region, and sometimes lots for second place, or sometimes none. It’s not just that you’ll want to put knights everywhere, making every decision a little bit heartbreaking. 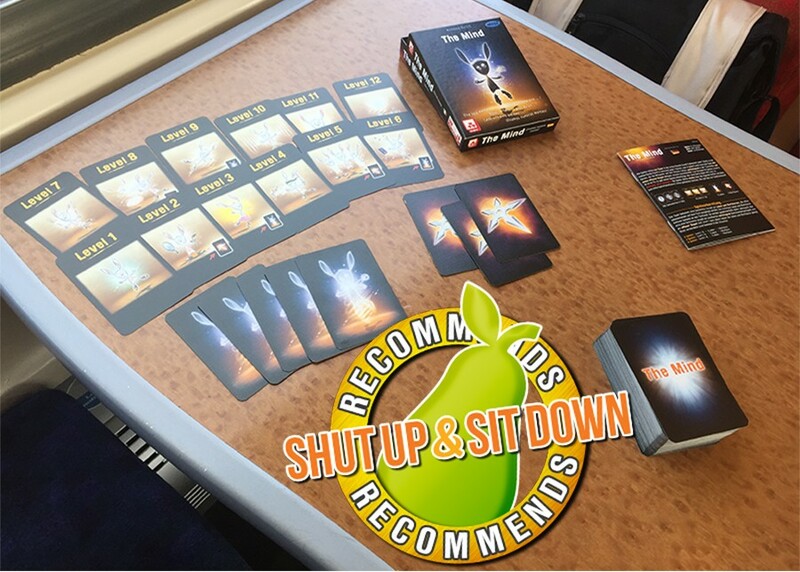 It’s that anything anyone does affects you, as it should be in board games. Any cube dropped into a region you’re fighting for will have you inhaling sharply. If it’s dropped somewhere you’re not, you’ll sigh with relief. Ultimately, a good game of El Grande has everyone breathing like a house full of retirees who all took the wrong medication. It’s perfect. With all those regions on the board, you might think it’s too much to handle. No, no, that giant King token keeps play confined. Players can only ever airdrop their knights in regions adjacent to the King, and the card that lets you move the maximum five knights simply lets you move the King. 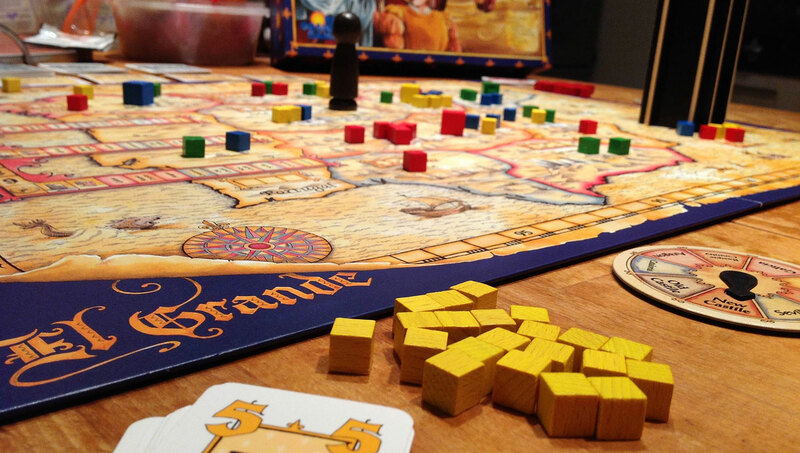 In so many of the games we play, you’ll watch a player make their move and you’ll say, “That was funny,” or “That was risky.” El Grande has you saying “That was a good move.” It’s damning to admit it, but that’s rare in board games today. Paul: Is this El Grande? Quinns: No you’re not allowed this is my review. Don’t ruin it with your grumbles. Paul: What! I don’t hate El Grande. Paul: What on earth made you think so? It’s sacrilege to even suggest I feel that way. 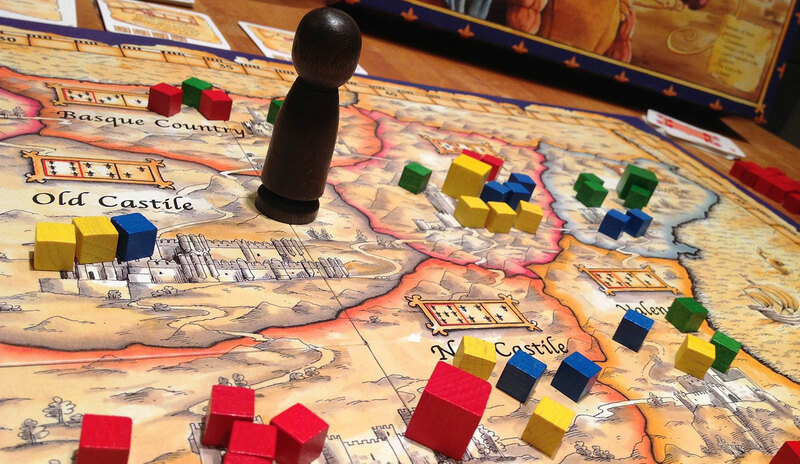 El Grande is a big, old, haggard and noble classic and it’s easy to see why it’s stood the test of time so well. 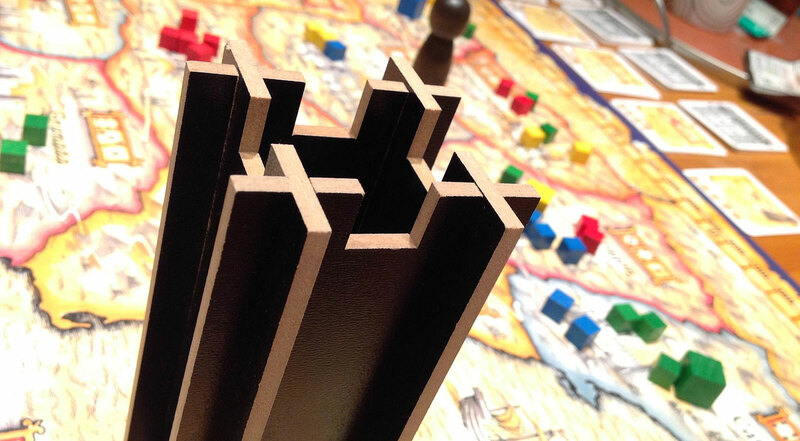 It’s extremely strategic, and while the rules governing what you can put where are so straightforward, making the game so incredibly easy to understand, the actual decision making is a true brain-bender. And then there’s the tower. 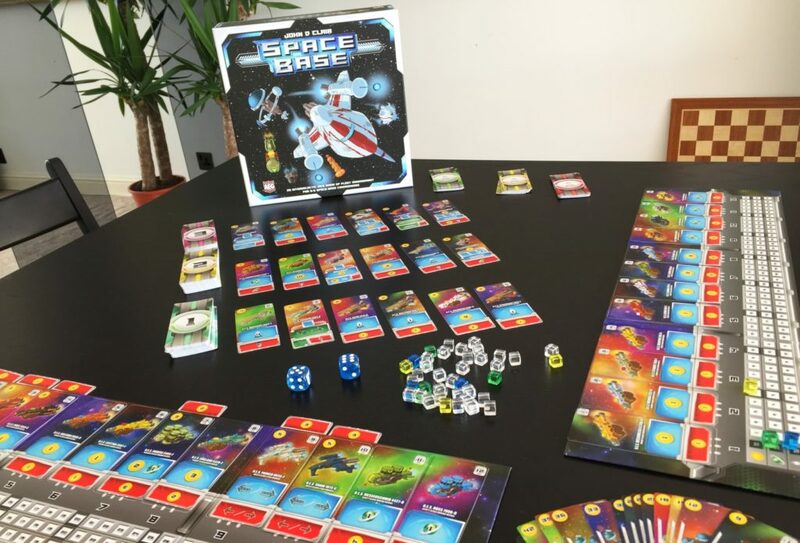 Sat on one side of the board is this large cardboard structure that players can drop knights into every turn, which acts as a final, secret region. You don’t declare the number of knights you’re dropping in and because the tower is a big, deep, dark thing, not only can’t you see how many knights everyone else has dropped in, you’ll inevitably forget how many you’ve put in, too. You’re constantly under pressure to drop just one more knight in. Just one more. Just so you can be sure you’re in the lead. You are sure you’re in the lead, aren’t you? But it gets better! Because once the tower is scored – always first – everyone’s knights spill out towards a different region of their choice, ruining EVERYTHING. Or potentially nothing, if you chose the same region as another player. The tactical equivalent of a sweaty, Spanish judo block. Quinns: I love the tower. You all watch as somebody takes the honour of drawing back the curtain of this weird cardstock theatre, and inevitably someone competitive (probably me) makes a nonsensical noise because THERE SHOULD BE THREE RED KNIGHTS IN THERE o god my plan is in tatters. But no. I could have sworn you were pretty underwhelmed by El Grande, weren’t you? Paul: –a few more decisions to make, more ways of interacting with the other players or swinging the balance of power. The thing is, even just talking about the game with you like this does make me want to play again. It’s got my bristles bristling. My tingles… tingling. Quinns: My Decennial edition has all three of the expansions, though, and we’ve never played with them! Why don’t we blow off this review, Paul. Let’s go to Spain! Paul: I’ve never been to Spain. Quinns: I mean in the game. I was doing a… you know, a thing. Paul: Well, this is awkward. I’m in my swimming costume now.